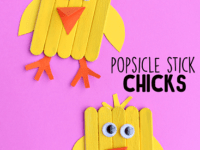 When it comes to springtime, we find that we have to keep all kinds of awesome crafting ideas on hands at all times because the weather is so unpredictable! 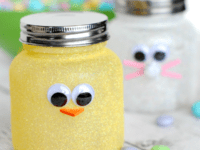 Sure, we might send the kids outside to play in the sun and a warm breeze one morning, but it could be pouring rain where we live by the afternoon, which means that we find we have lots of crafting time in the spring. 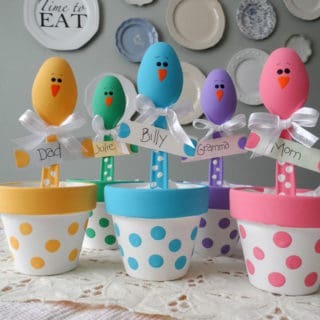 That’s why we always keep Easter crafts on hand around this time of year! 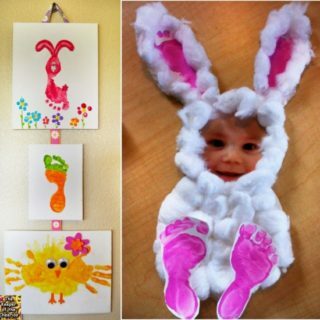 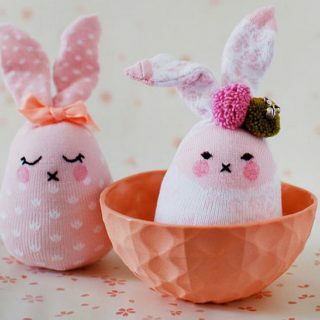 Just in case you love the idea of having lots of Easter themed kids’ crafting options on hand this spring just as much as we do, if not more, here are 15 of the cutest and funnest ideas and tutorials we’ve come across so far in our bookmarking adventures. 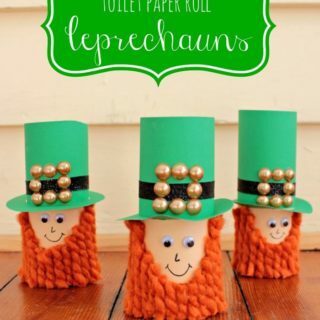 Toilet paper rolls are the kind of classic craft that never gets old or tired! 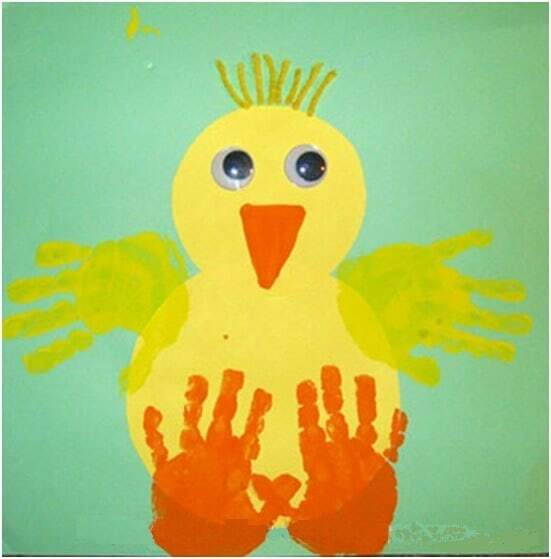 Even as adults, we’re always marvelling at just how many things you can transform them into. 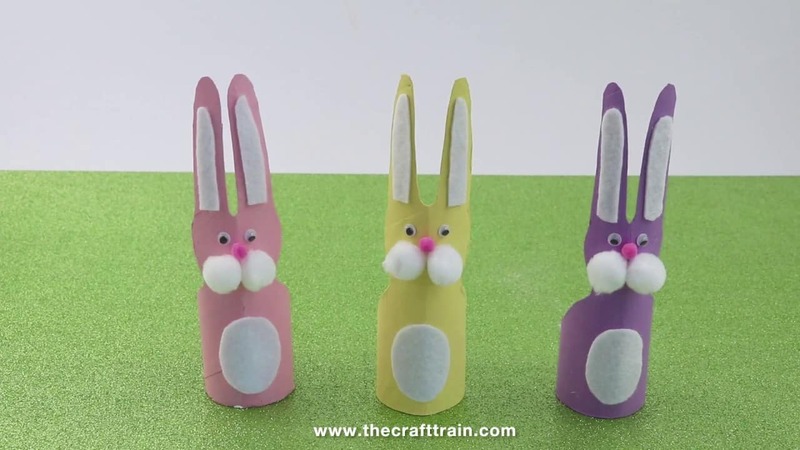 Our kids love them even more than we do, so we’re sure you can probably imagine how much of a hit these cute little toilet roll bunnies from The Craft Train were in our house. 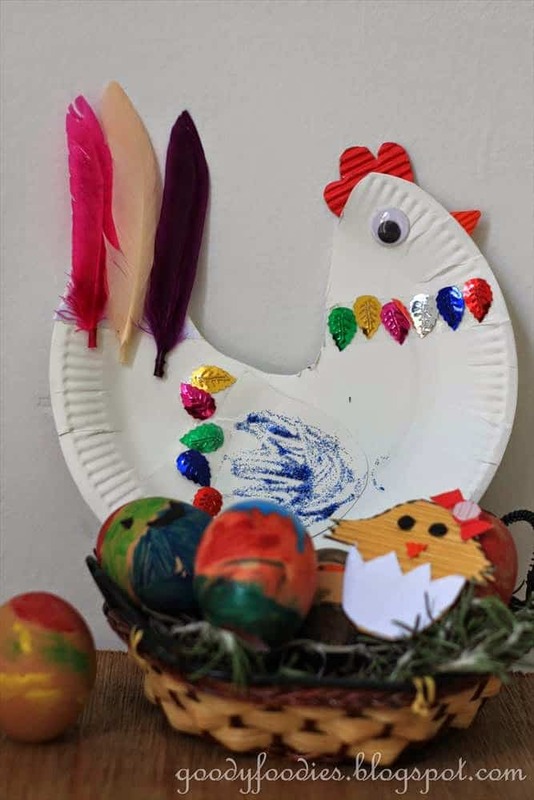 Just in case you’ve got your place already scattered with bright Easter eggs and bunnies and now you need some other springtime creatures, here’s a lovely mother hen craft from Goody Foodies that will make it look like that’s who’s been laying all your eggs! 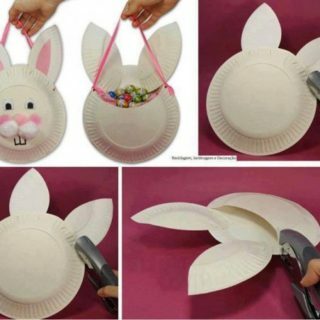 Their tutorial shows you how to make one of your own out of a paper plate. 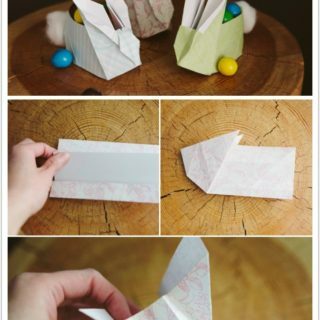 If you’re going to put in the time and effort it takes to make an Easter craft from scratch with your kids this afternoon, would you rather work together to make something decorative so you can easily put it on display after? 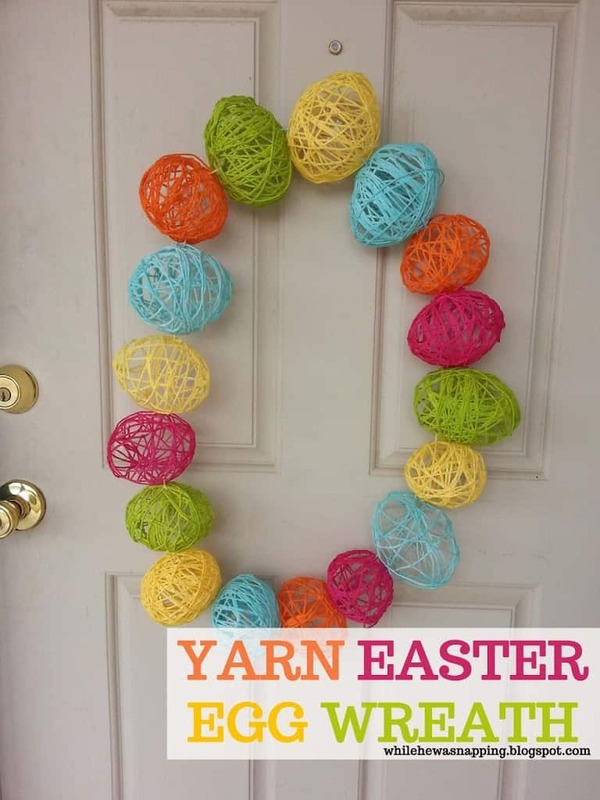 Then we have a feeling you’ll get along quite will indeed with the way While He Was Napping did a bit of yarn wrapping to make an Easter egg door wreath! 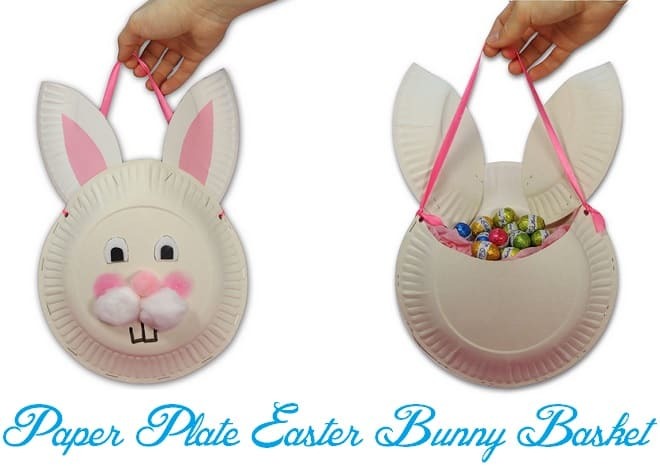 Perhaps you really enjoyed the idea of making an Easter craft out of paper plates because you love upcycling crafts and you happen to have some of those already on hand? 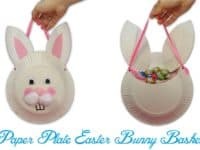 In that case, we’d absolutely suggest taking a look at the way Fab Art DIY made this lovely little paper plate Easter bunny that has a basket opening for Easter egg hunting in the back! 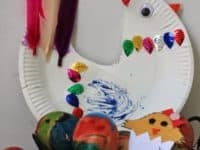 Just in case your kids are really hands-on craft lovers just like ours are, here’s an idea that will let them get a little messier with their artistic process on a boring rainy afternoon. 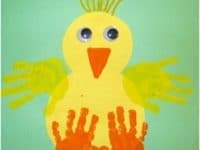 Take a look at the tutorial on Fun Handprint Art to see how these super fun little construction paper and painted handprint chicks were made! 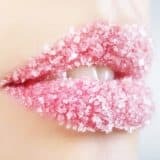 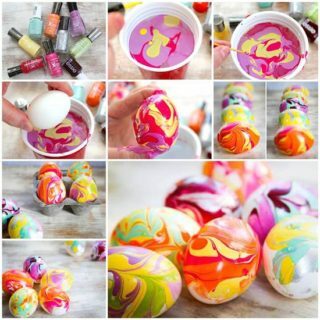 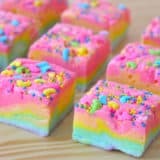 Have you actually been specifically on the lookout for springtime and Easter crafts that let you use actual hardboiled eggs because your kids are still obsessed with that idea from the time you dyed eggs together but you’re looking for other egg techniques just to keep things interesting? 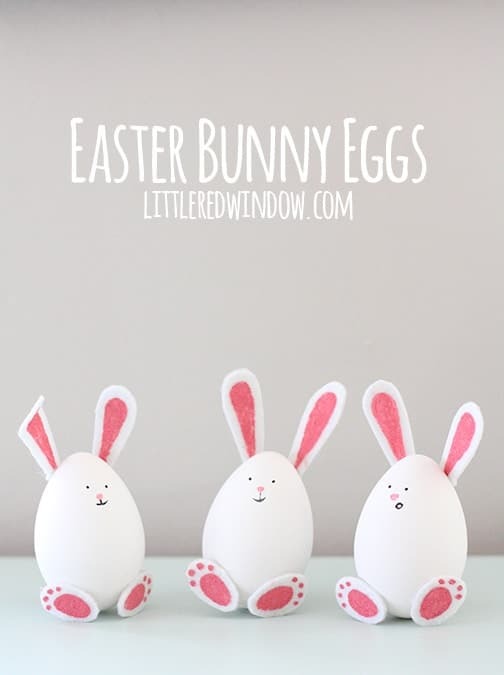 In that case, we’d definitely suggest taking a look at how Little Red Window made these funny Easter bunny eggs using foam paper and markers. 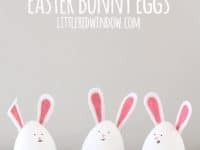 Did we really catch your attention when we started talking about dying and decorating eggs but you’re convinced that your kids are still just a bit too young to be working with dye? 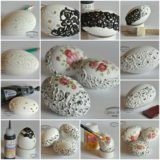 Then we’d absolutely suggest taking a look at how A Little Pinch of Perfect made these wonderfully decorative paper eggs using paper lace doilies and felt tip pens. 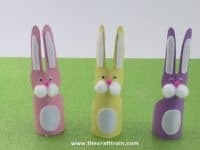 Just in case you’re still looking for springtime and Easter crafts that will help your kids make something other than the classic seasonal bunnies, here’s a lovely tutorial from One Little Project! 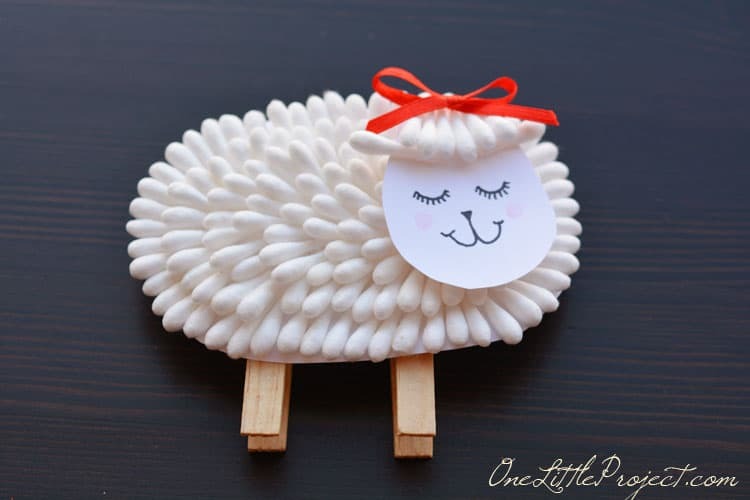 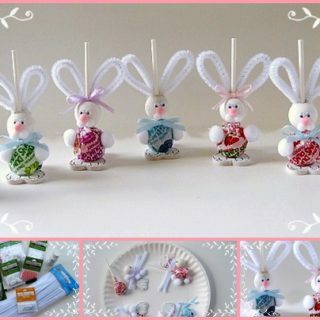 They teach you step by step how to make a little lamb using clothespins, cotton swabs, and a bit of paper. 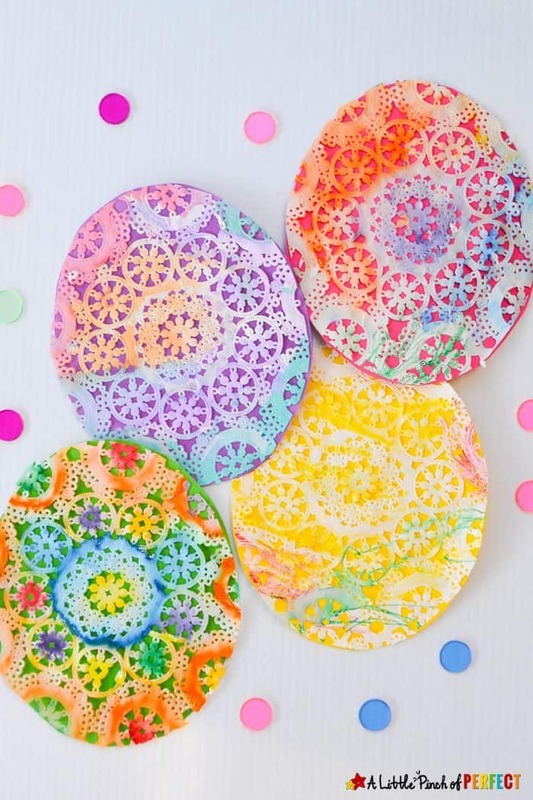 Just in case we caught your attention with the idea of using common crafting supplies that you probably already have at home but you don’t happen to have any paper plates lying around, here’s an awesome alternative! 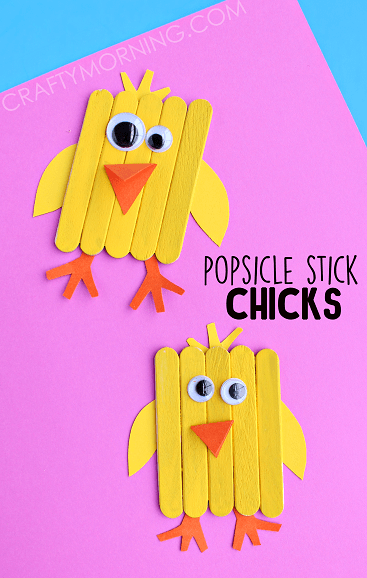 Crafty Morning shows you how to make cute little googly-eyed chicks out of crafting or popsicle sticks. 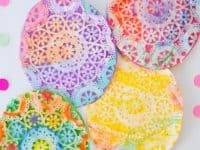 Sun catchers are the kind of awesome craft that we love to make all year round in all different seasonal or holiday shapes and designs, and Easter time is no different! 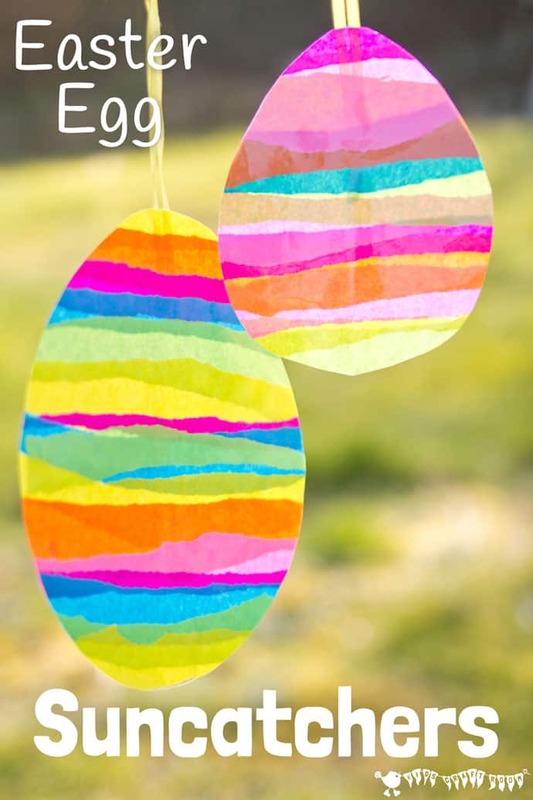 We’re in love with the way Kids Craft Room made these fantastic Easter egg shaped sun catchers using shredded strips of colourful tissue paper. 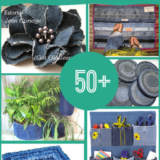 Are you actually still thinking of ways that you can make decorative piece crafts but you’re feeling pretty intrigued by the idea of upcycling old things into new pieces too? 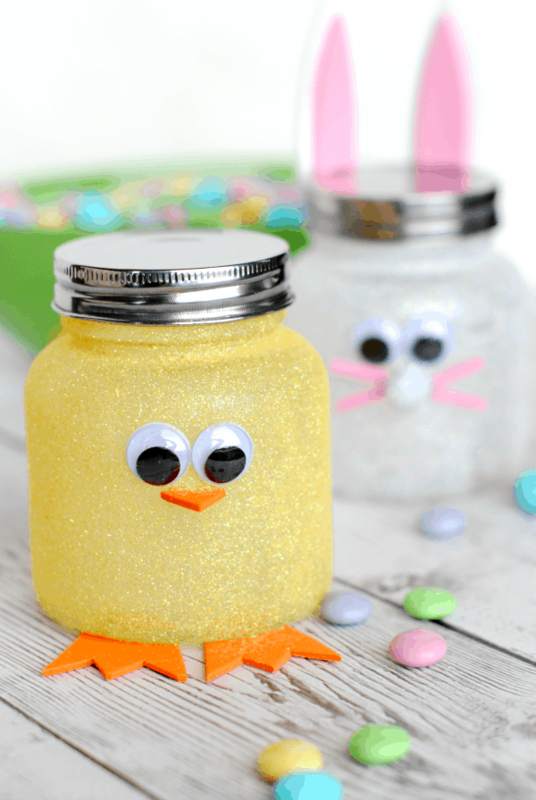 Then grab the nearest empty jam jars from your recycling box and take a look at how Crazy Little Projects used glitter and foam paper to make theirs into Easter chicks and bunnies! 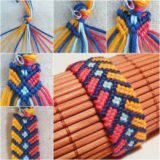 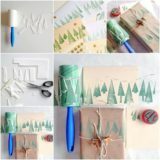 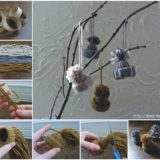 Did we really catch your attention when we started talking about yarn wrapping techniques and Easter eggs in one place but you’re not sure the glue drying technique you saw in the earlier wreath is quite right for your little ones unless you want a huge mess on your hands? 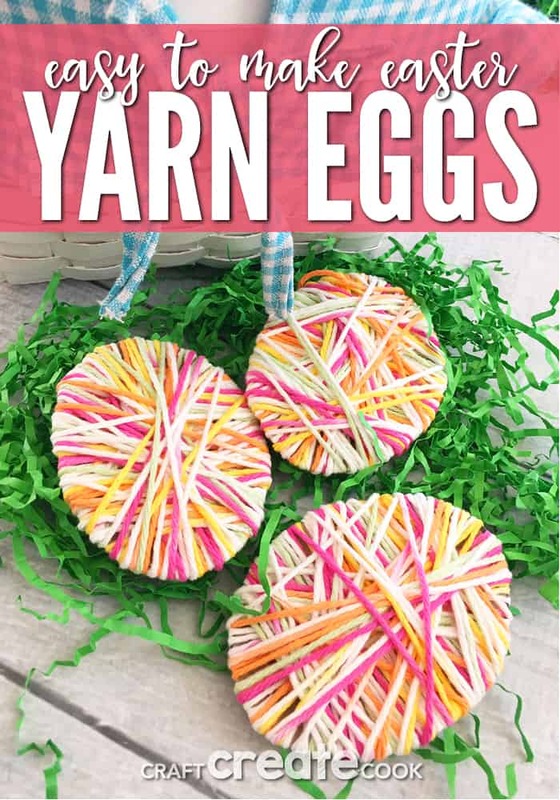 In that case, we’d suggest taking a look at this simpler cardboard and yarn wrapped egg idea from Craft Create Cook! 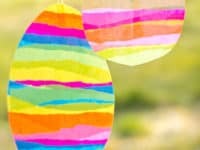 Here’s another idea for your list of other Easter animals and things made from unconventional materials! 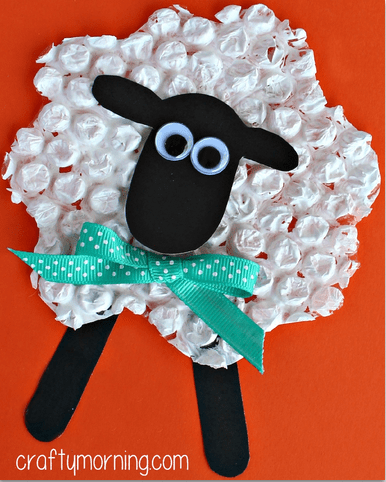 We’re completely in love with the way Crafty Morning outlines step by step how they made these adorable little painted bubble wrap sheep. 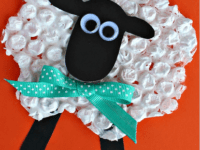 Our kids adore bubble wrap and sat popping their bubbles for ten minutes before even starting the craft. 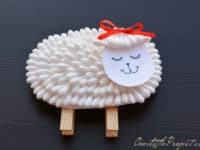 Are you a little bit pressed for time and supplies right now but you also know that your kids have been feeling restless today and would really like to do some crafting this afternoon? 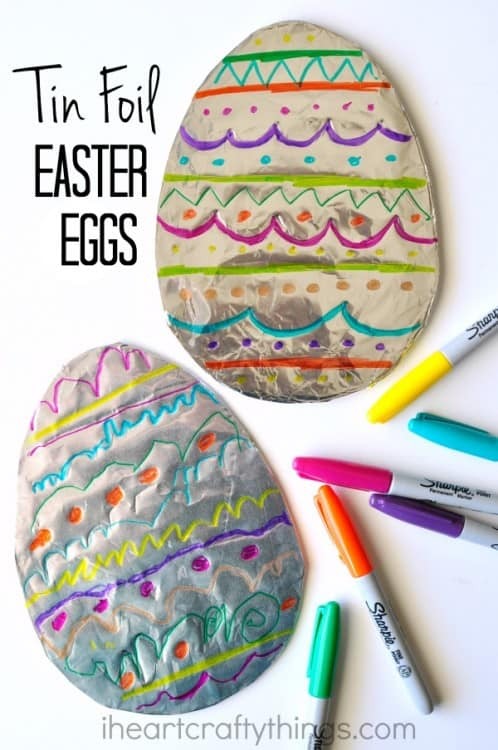 Then we’d definitely suggest taking a look at how I Heart Crafty Things made these super fun decorated Easter eggs simply by using Sharpies to draw on tinfoil! 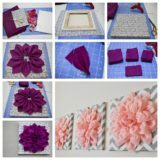 Maybe your kids are a little bit older and feeling slightly more hands-on and they’d really rather make something right from scratch, creating an entire decor piece themselves? 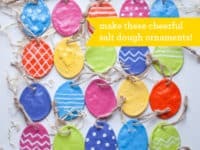 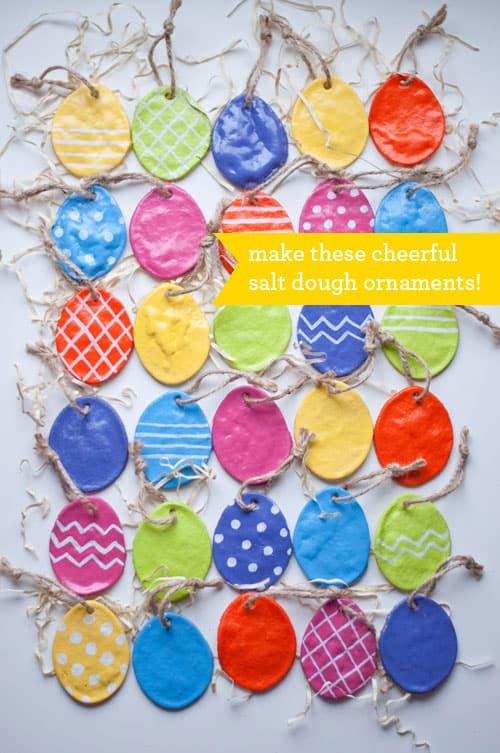 Then we think this fantastic painted salt dough Easter ornament idea outlined step by simply step on Design Mom might be right up your alley!